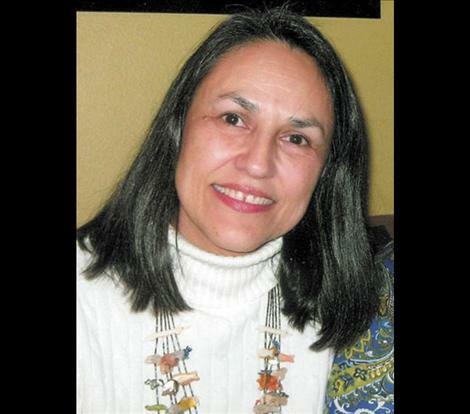 RONAN — Lake County Sheriff's Office and Confederated Salish and Kootenai Tribal Police are searching for a 55-year-old Ronan woman who was last seen at her home around midnight on Sunday evening. Linda Santos Altamarino was reported missing by her husband after she did not show up for work at the tribal complex in Pablo on Monday morning, according to a press release from Lake County Sheriff's office spokeswoman Karen Sargeant. Altamarino's car, purse, and glasses were left at her home. Altamarino is described as being 5-foot-5, 139 pounds with brown eyes and black hair. She may be wearing brown tennis shoes. Anyone with information about her whereabouts should call Tribal Law and Order at (406) 675-4700, or call the Lake County Sheriff’s Office at (406) 883-7301.